‘Tuned Squared’ is a co-production of Composers Concordance and l’Artiste ordinaire. 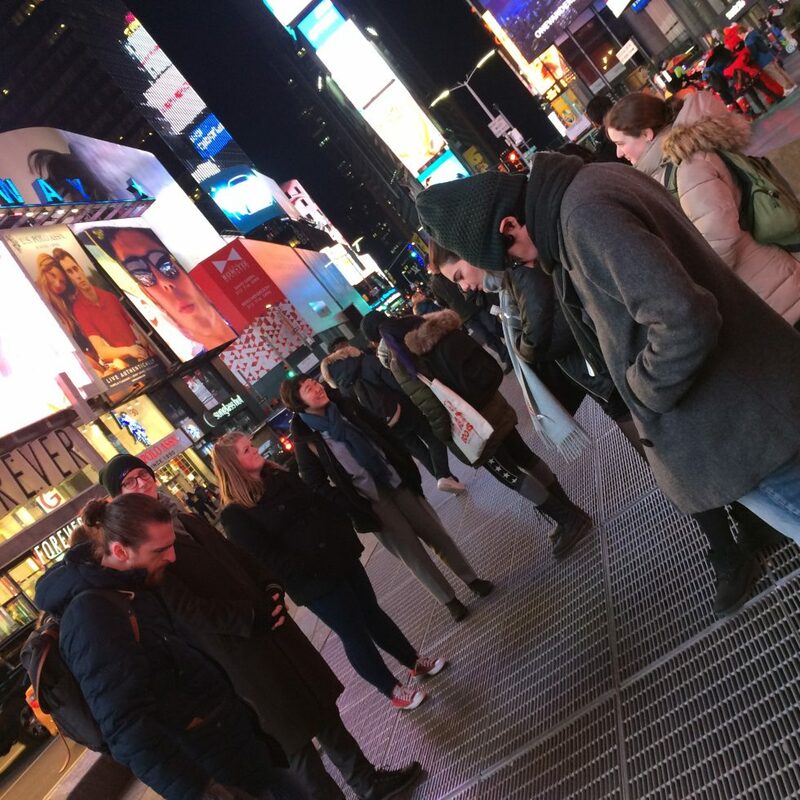 Melissa Grey will direct a performance of Pauline Oliveros’s Tuning Meditation (1971), a vocal improvisation beginning with a single pitch, at the outdoor site of Max Neuhaus’s sound installation Times Square (1977). The installation exposes a rich sound texture of the resonance of the Square’s underground tunnel junction, which would otherwise remain unheard. By responding to this through voice, as a group, we aim to create a participatory, ecstatic experience with and for passers-by through sound. Our presence and activity will create a two-way conduit, amplifying Neuhaus’s original sound while contributing to Times Square’s sound.